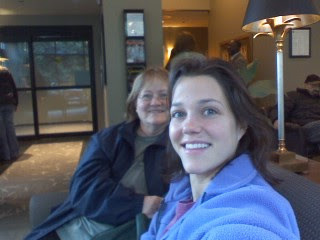 Waiting for preadmissions testing with momma. Again, we're both in Life Is Good shirts. I can think of exactly 1 million other places I'd rather be. But still I feel grateful for this care.